Andrew Gwynne, MP for Denton and Reddish, has met Royal British Legion Area Manager, Richard Foster, to discuss the way forward for the Royal British Legion’s operations in Greater Manchester. 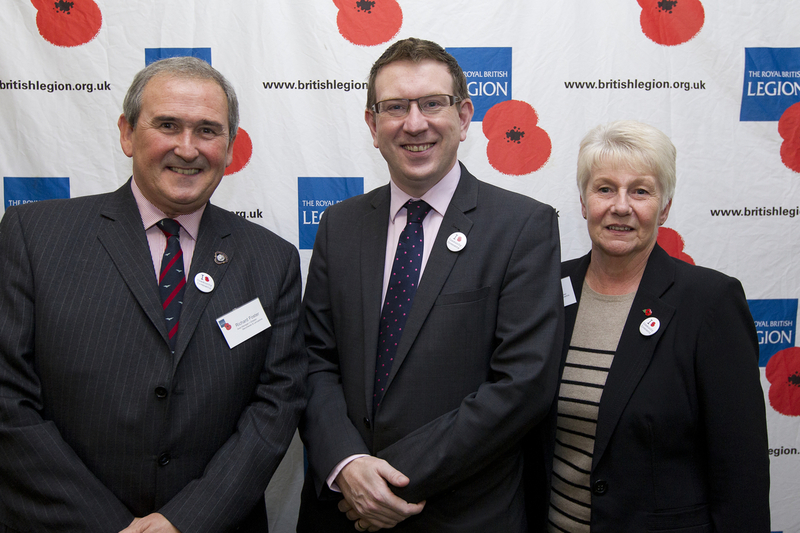 The Legion is the leading provider of welfare for the Armed Forces community and last week local MP Andrew Gwynne attended a meeting in Westminster to catch up on the Legion’s work in the Tameside and Stockport area. Mr Gwynne used the opportunity to discuss with Richard Foster the changing face of Armed Forces welfare provision in the local community. The meeting also presented a chance for Andrew Gwynne to hear more about the Legion’s work developing Community Covenants locally. “I was really pleased to meet my new Royal British Legion Area Manager. Richard made it clear that the Legion’s work does not stop on 11th November. Providing assistance for members and former members of the Armed Forces who have been injured, or who need help in other ways, as well as their families, is a 365-day-a-year job. “It was great to see Andrew; we really appreciated him making the time to meet with us. Many people don’t realise that we spend £1.6 million every week in direct welfare support for the Serving and ex-Service community and their families, so we were delighted to tell Mr Gwynne about the range of services we provide”. The Royal British Legion provides care and support to all members of the British Armed Forces, past and present, and their families. As the nation’s leading Armed Forces charity, the Legion spends £84 million a year on vital welfare work, providing social, emotional and financial care and support to serving and ex-Service people and their families. Approximately 9 million people in the UK are eligible for the Legion’s support and we are proud to serve those in need, today and for the rest of their lives.